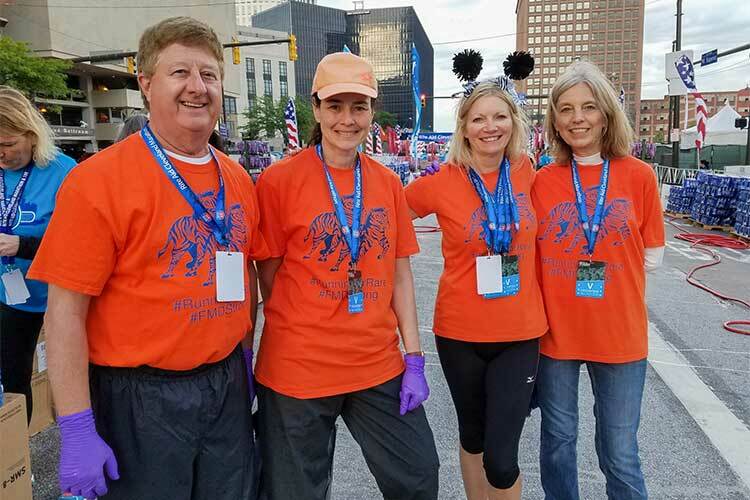 With the 41st annual Rite Aid Cleveland Marathon just over three weeks away on Sunday, May 20, thousands of runners are ramping up their regimen—not only to take on the course, but to raise more money for causes close to their hearts. Some runners choose to direct their dollars toward the marathon’s official charity partners, while others choose to create their own fundraiser using Crowdrise. Not hitting the pavement this year? You can still make a difference. Meet the marathon’s gold-level charity partners and learn how to help them fight for the finish. After losing their seven-year-old daughter to a terminal brain tumor, Ed and Megan McNamara found the strength to take a great tragedy and transcend the trials of childhood cancer—retaining an awe-inspiring amount of support. Together the couple co-founded Prayers from Maria, an non-profit organization that has been funding global research on glioma cancer since 2006. The McNamaras have always employed creative ways to engage the community in fundraising, opting to run a sunflower field, wine festival, and ice cream truck in favor of traditional black-tie events. 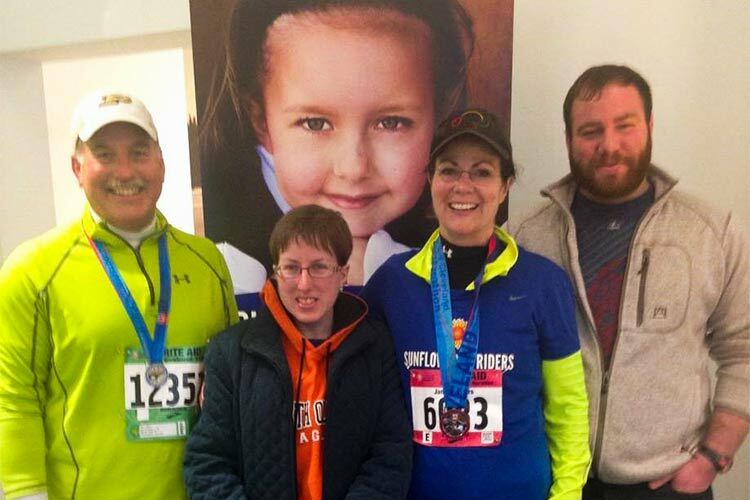 Prayers from Maria initially had its own 5k run, but when the opportunity to affiliate with the Rite Aid Cleveland Marathon fell into Megan’s lap, the Sunflower Striders were born. This is the organization’s seventh year as a charity partner, having raised $120,000 to date. Even those who aren’t running the marathon can still support the cause, as Maria’s Ice Cream Wagon will be on hand this year to dole out sweet treats. Interested in helping Prayers for Maria reach the finish line? Click here to donate. For Empowering Epilepsy, it’s all in the title. Founded by Leigh Goldie, this organization’s driving mission is about telling people directly affected by epilepsy what they can do, instead of what they can’t. 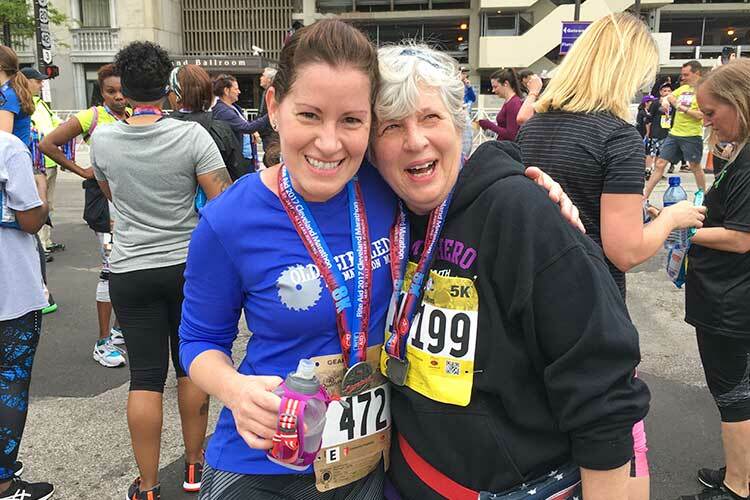 People with epilepsy are capable of hurdling the barriers of the disease, and that’s precisely what they will be doing at this year’s Rite Aid Cleveland Marathon. “We do the marathon because everybody tells people with epilepsy that they can’t exercise,” says Goldie. 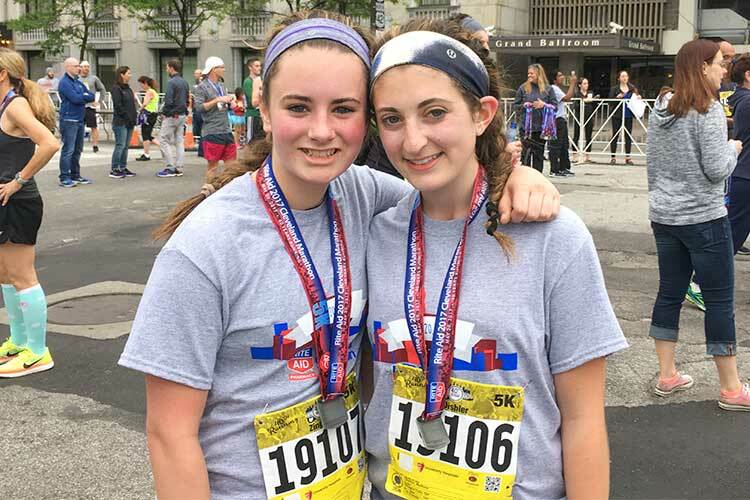 As a gold-level charity partner for the Cleveland Rite Aid Marathon, Empowering Epilepsy’s primary goal is to instill confidence in those affected by the disease and to attract public support. The donations from the marathon help foster even more community spirit by contributing to their art therapy programs and special events, including a night out at a Cavs game. Goldie says the marathon gives Empowering Epilepsy the chance to tell people with epilepsy that the limitations set by society—or even themselves—are never too great to overcome. In the future, Goldie is hoping for an Empowering Epilepsy-branded race of its own, but for now, the chance to participate in the marathon sends a powerful message. Help Empowering Epilepsy reach its $6,500 fundraising goal here. Life with fibromuscular dysplasia isn’t for the fainthearted, but with the overwhelming support of the Fibromuscular Dysplasia Society of America (FMDSA), hope is never lost. FMDSA executive director Pam Mace has known life with fibromuscular dysplasia for 18 years. At the time of her diagnosis, there wasn’t enough attention drawn to the disease, so Mace used her medical background as a registered nurse to push that door wide open. She connected with doctors, patients, and volunteers—gaining traction in the medical world and building a board of individuals dedicated to tackling this disease. Mace sought to validate this condition and, in 2003, her dream was realized with the establishment of FMDSA. 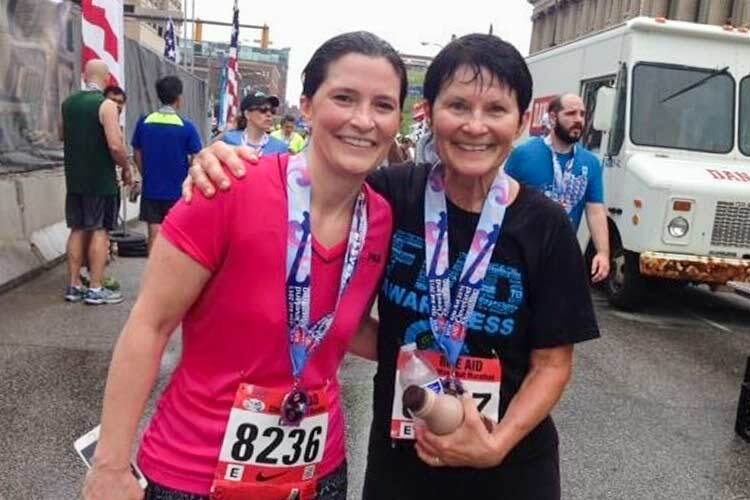 With May designated as Fibromuscular Dysplasia Awareness Month, the Rite Aid Cleveland Marathon will coincide with FMDSA’s annual patient meeting. Patients and medical professionals from around the world will have the opportunity to see what our city is doing for the fibromuscular dysplasia community firsthand. Doctors from University of Michigan and Emory will be running amongst the masses, while some patients cheer on the crowd from the water stations. Before her diagnosis, Mace was an avid runner and now has the privilege of seeing her community run for people like her. Mace considers the marathon an opportunity to bring those affected by this disease together. 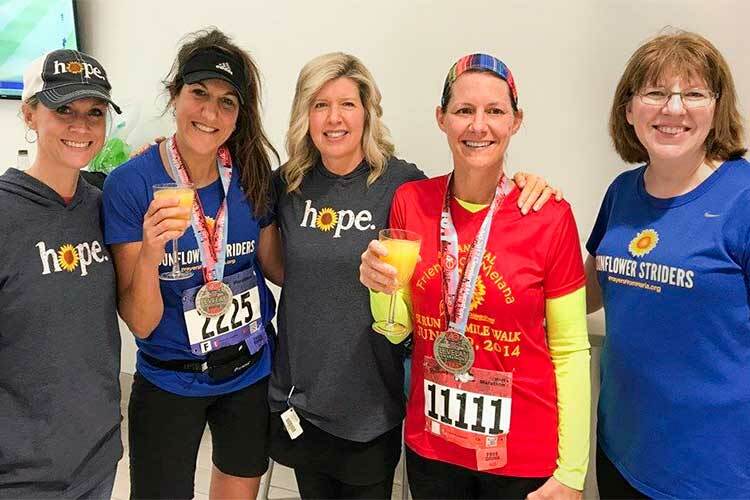 Even for those who can’t get out there and run, patients are still inspired by the enormous community willing to go the distance for their well-being. Donations from the marathon help support FMDSA’s patient registry and medical research. FMDSA is still looking to build up their team for this year’s marathon—learn more about how to join on their website. To donate to FMDSA, click here. Inspired? Click here to learn more about the marathon’s other charity partners at the Bronze and Friends of the Marathon levels.